Initial Coin Offerings (“ICOs”) has gained prominence in the world of crypto-currencies and startups as a relatively-easy fundraising mechanism. News about raising millions of dollars in a few seconds upon opening of the ICO is adding to the frenzy. Many of them view ICO as a disruption to the venture capital industry. The nature of ICOs may lead to people equating them to both IPOs and crowdfunding. In an IPO an investor invests in return for a security (ownership) in a company, under highly regulated process, which gives the investors voting rights, dividend rights etc. In an ICO, investors transfer funds, usually in the form of crypto-currencies, to the ICO organiser. 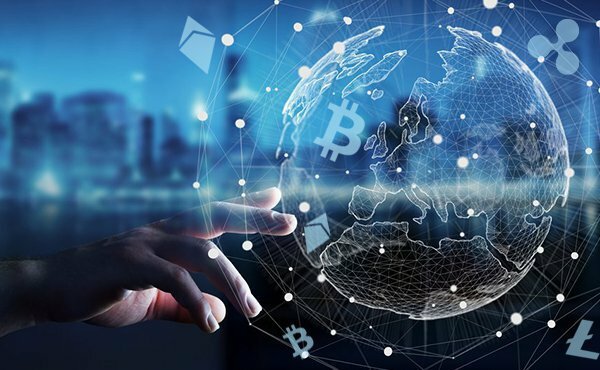 In return they receive a quantity of blockchain-based coins or tokens which are created and stored in a decentralised form either on a blockchain specifically created for the ICO or through a smart contract on a pre-existing blockchain. An ICO which provides voting or profit sharing is under high scrutiny by the regulators, since it would blur the distinction to that of an IPO. Even though the trade in ICOs, bitcoins and other crypto-currencies has been increasing rapidly with the passage of time, there still exists a large vacuum of regulations by governments in this space, which not only increases the risk posed to investors but also disincentives some investors from entering the process at all. Currently crypto/virtual currencies and ICO’s remain unregulated in India. The Government is yet to finalise a regulatory mechanism so as to govern and regulate crypto/virtual currencies. RBI on 1 February 2017 issued a press release, cautioning the users, holders and traders of crypto / virtual currencies. The press release stated that RBI has not given any licence / authorisation to any entity / company to operate such schemes or deal with Bitcoin or any virtual currency. As such, any user, holder, investor, trader, etc. dealing with virtual currencies will be doing so at their own risk. The RBI in this press release also mentioned the press release published by the RBI cautioning the users of virtual/crypto currency. The Ministry of Finance on 12 April 2017 constituted an Inter- Disciplinary Committee chaired by Special Secretary (Economic Affairs) to examine the existing framework with regard to virtual currencies. The Committee was constituted to provide a detailed report on (a) take stock of the present status of virtual currencies both in India and globally; (b) examine the existing global regulatory and legal structures governing virtual currencies; (c) suggest measures for dealing with such virtual currencies including issues relating to consumer protection, money laundering, etc; and (d) examine any other matter related to virtual currencies which may be relevant. As of date, there is no regulation tabled before the legislature. Recently, bank transactions and operation of a number of cryptocurrency exchanges in India were hampered without any prior intimation. Users were unable to trade or credit money to their wallet on the exchange/withdraw money to their bank account. This is speculated to be a knee-jerk reaction on the part of the banks, in response to the non-supportive stance of the Government with respect to cryptocurrencies. This certainly does not seem like an efficient and productive method of moving forward. While recognizing that the Government’s concerns regarding cryptocurrencies are genuine, we believe that it will be in the best interests of all stakeholders if the Government releases its official rules/regulations on the matter soon. ICOs raise a variety of legal issues for which there is no relevant case law and no consistent legal doctrine. Given the wide variety of types of token and ICO set-ups, it is not possible to generalise. Circumstances must be considered holistically in each individual case. The minimum information requirements for organisers form the basis for these decisions. On 16 February 2018, Swiss Financial Market Supervisory Authority, FINMA, released guidelines to support the issuance of ICO and said will base its assessment on the underlying economic purpose of an ICO, most particularly when there are indications of an attempt to circumvent existing regulations. We believe that the first step for the regulator to understand the ICO token categories. The world-wide discomfort of the regulators has been perhaps ICOs which issues tokens which is akin to a “security”. But there are many other ICOs which are not “securities”. Payment tokens: Payment tokens (synonymous with cryptocurrencies) are tokens which are intended to be used, now or in the future, as a means of payment for acquiring goods or services or as a means of money or value transfer. Cryptocurrencies give rise to no claims on their issuer. Utility tokens: Utility tokens are tokens which are intended to provide access digitally to an application or service by means of a blockchain-based infrastructure. Asset tokens: Asset tokens represent assets such as a debt or equity claim on the issuer. Asset tokens promise, for example, a share in future company earnings or future capital flows. In terms of their economic function, therefore, these tokens are analogous to equities, bonds or derivatives. Tokens which enable physical assets to be traded on the blockchain also fall into this category. The individual token classifications are not mutually exclusive. Asset and utility tokens can also be classified as payment tokens (referred to as hybrid tokens). In these cases, the requirements are cumulative; in other words, the tokens are deemed to be both securities and means of payment. In some ICOs, tokens are already put into circulation at the point of fund-raising. This takes place on a pre-existing blockchain. In other types of ICO, investors are offered only the prospect that they will receive tokens at some point in the future and the tokens or the underlying blockchain remain to be developed. This is referred to as pre-financing. Pre-sale represents another possible permutation. In this case, investors receive tokens which entitle them to acquire other different tokens at a later date. Should the tokens at any point in time fall under Asset tokens or SEBI’s regulatory framework on the issuance of a “security”, then SEBI should definitely have a say. The other regulations such as Prevention of Money Laundering, Collective Investment Schemes, Deposits under Companies Act should also be taken into account as a single guidance note to the issuance of an ICO. A regulation / guidance such as this would augur well for Indian entrepreneurs to have an ICO in India and with clarity. It also provides a good base for the tax authorities to tax the economic benefits accordingly. This entry was posted in Articles and tagged Assest tokens, asset token, bitcoin, Blockchain, crypto currency, FEMA, FINMA, Fintech, Hybrid Tokens, ICO, ICO regulation in India, initial coin offering, Ministry of Finance, NovoJuris Legal, payment token, RBI, RBI on ICO's, Swiss ICO laws, Tokens, utility token on March 21, 2018 by novojuris.